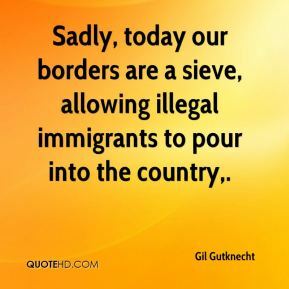 Sadly, today our borders are a sieve, allowing illegal immigrants to pour into the country. 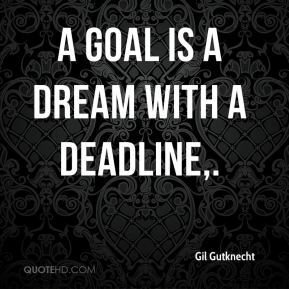 I believe in 'last in, first out' budgeting, ... 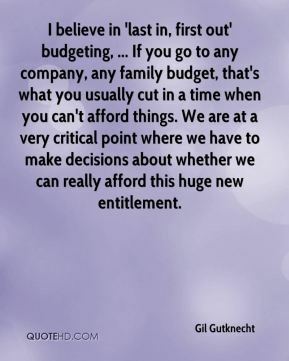 If you go to any company, any family budget, that's what you usually cut in a time when you can't afford things. We are at a very critical point where we have to make decisions about whether we can really afford this huge new entitlement. 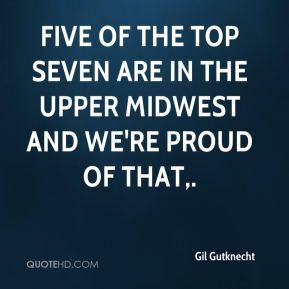 Five of the top seven are in the upper Midwest and we're proud of that. 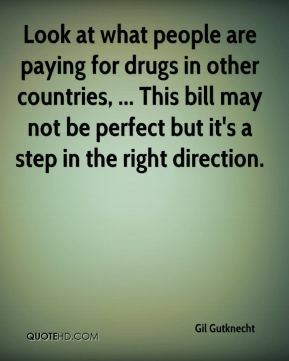 Look at what people are paying for drugs in other countries, ... This bill may not be perfect but it's a step in the right direction. 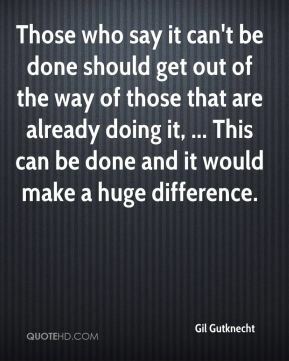 Those who say it can't be done should get out of the way of those that are already doing it, ... This can be done and it would make a huge difference. 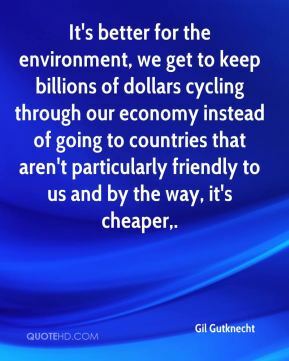 It's better for the environment, we get to keep billions of dollars cycling through our economy instead of going to countries that aren't particularly friendly to us and by the way, it's cheaper. 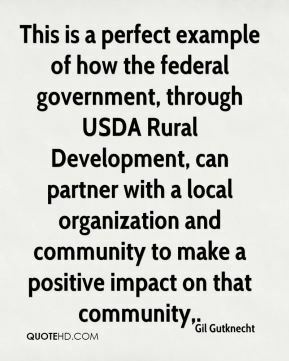 This is a perfect example of how the federal government, through USDA Rural Development, can partner with a local organization and community to make a positive impact on that community. 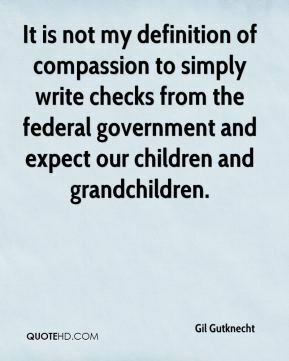 It is not my definition of compassion to simply write checks from the federal government and expect our children and grandchildren. [Some people are leaving Rep. Tom Osborne's (R-Neb.) 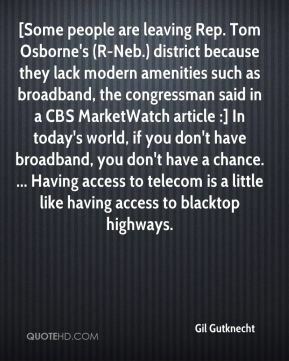 district because they lack modern amenities such as broadband, the congressman said in a CBS MarketWatch article :] In today's world, if you don't have broadband, you don't have a chance. 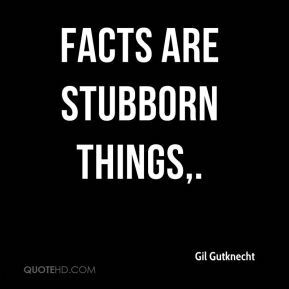 ... Having access to telecom is a little like having access to blacktop highways. 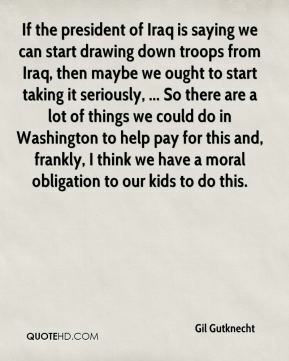 If the president of Iraq is saying we can start drawing down troops from Iraq, then maybe we ought to start taking it seriously, ... So there are a lot of things we could do in Washington to help pay for this and, frankly, I think we have a moral obligation to our kids to do this.